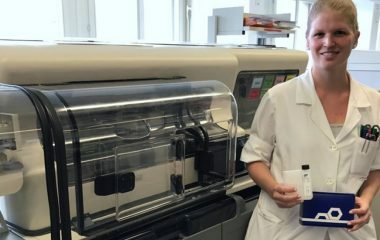 Gastrointestinal/IBD Nurse of the Year 2018 introduces calprotectin home testing at her hospital. Pearl Avery of Dorset County Hospital NHS Trust has been awarded Gastrointestinal/IBD Nurse of the Year 2018 for her pioneering work to introduce a new IBD patient management system which has earned national recognition. It incorporates the IBD registry and the BÜHLMANN IBDoc calprotectin home test. In this article Pearl discusses the impact that the introduction of IBDoc has had for both patients and staff. Previously they had to wait 4-6 weeks for a calprotectin result which did not then necessarily equate to the patients’ present condition. 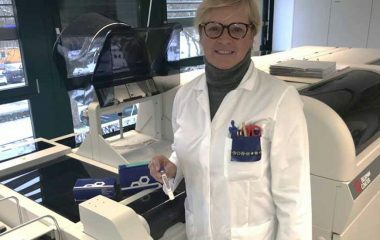 Using the IBDoc test, either in the clinic or by the patient themselves at home, provides a much more relevant result and is proving a valuable tool for monitoring IBD patients. It is particularly helpful for patients on biologic drugs to manage their treatment and provide reassurance. Having remote monitoring capabilities will potentially reduce clinical appointments and achieve the Treat to Target goal.